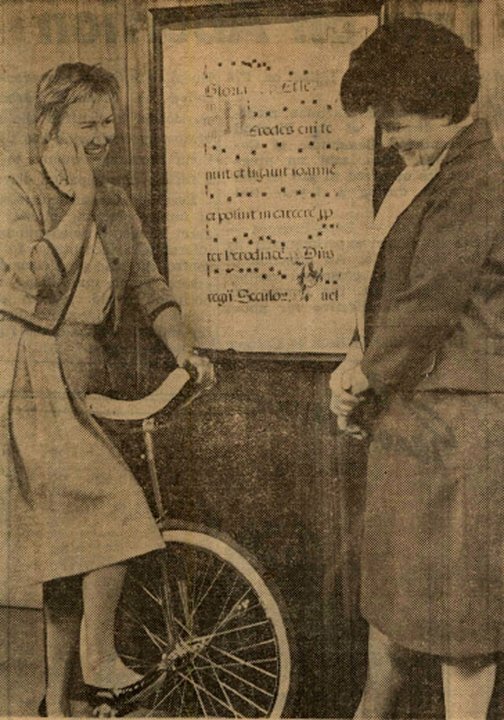 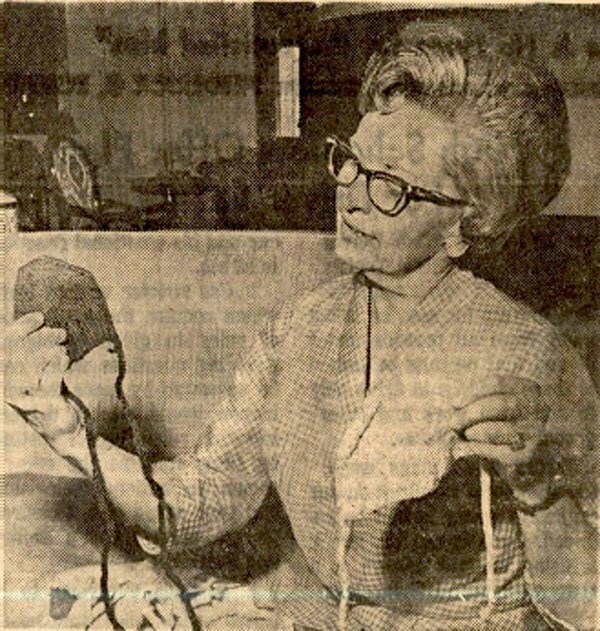 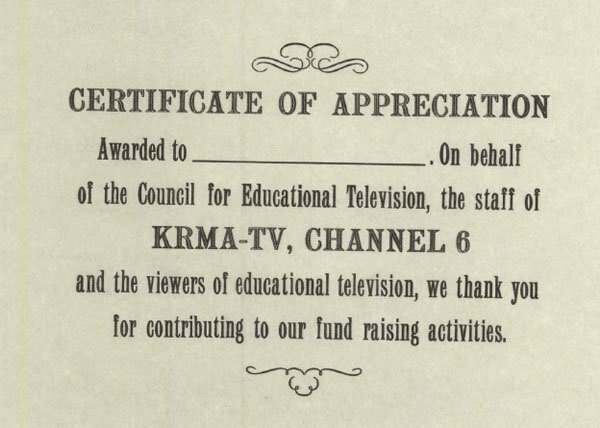 In the early ‘60s, KRMA began looking for ways to obtain additional funding to produce more local programming and expand its total broadcast hours. 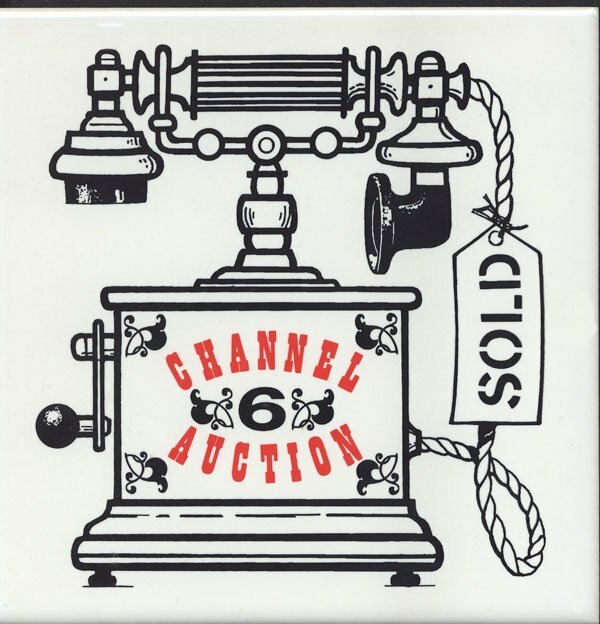 It turned to San Francisco’s educational station, KQED, which had been airing an annual and highly successful auction for over 10 years. 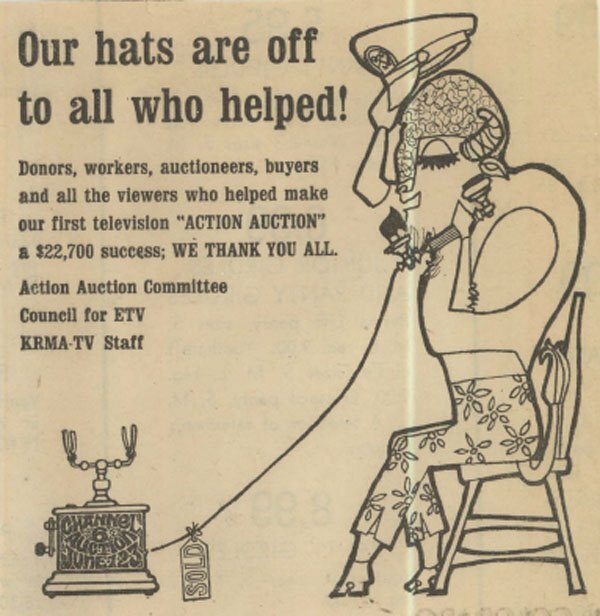 Following the San Francisco format, KRMA had its first televised auction June 1-3, 1966. 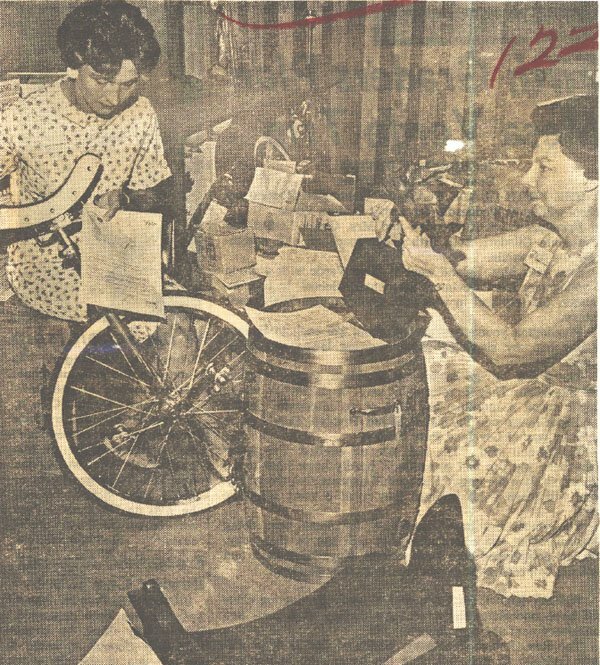 An “army" of volunteers gathered donations from businesses and individuals. 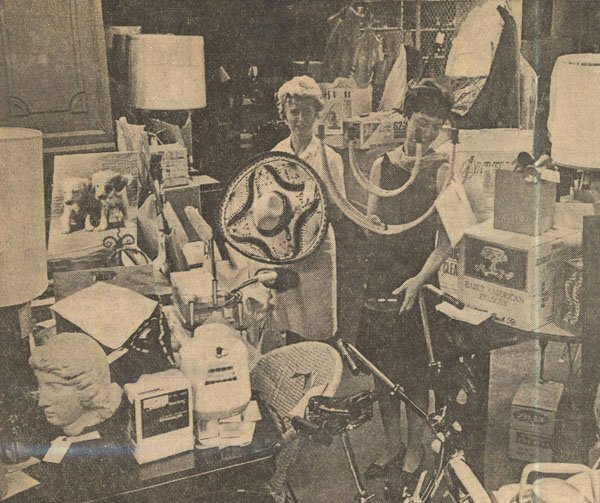 Some of the more interesting items donated were: cowboy boots worn by Chuck Connors in “The Rifleman," a naval hat worn by Ernest Borgnine in “McHale’s Navy," an African spear from the collection of Hollywood actor Cornel Wilde, an apron worn by Irene Ryan in her role as Granny from the “Beverly Hillbillies," a medical jacket signed by actor Vince Edwards of “Ben Casey” fame, a unicycle and a certificate for $75 worth of prescriptions. 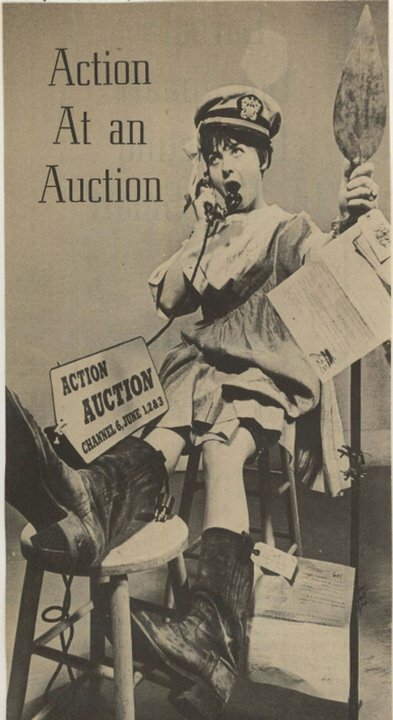 The first televised auction, known as “Action Auction,” featured several bands providing entertainment and an estimated 100 auctioneers who were community leaders and local radio/television personalities. 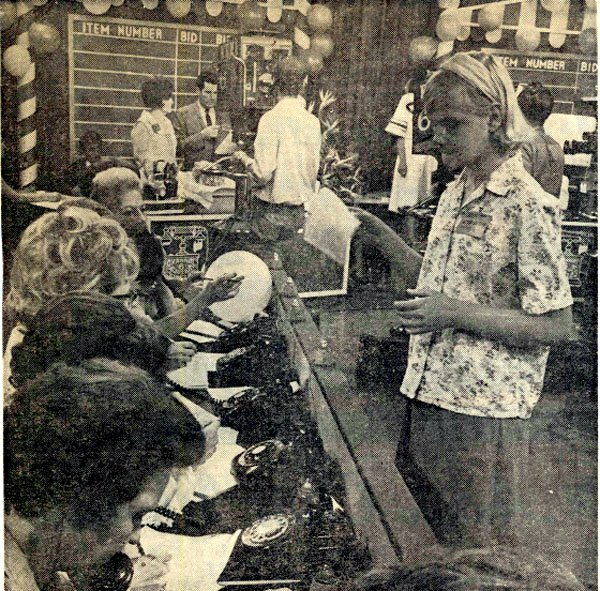 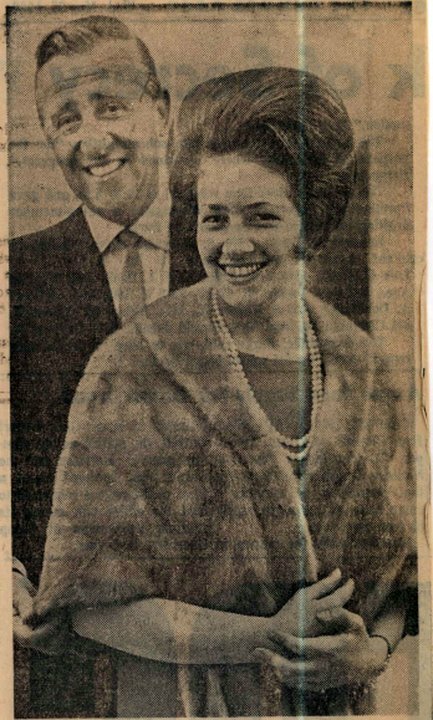 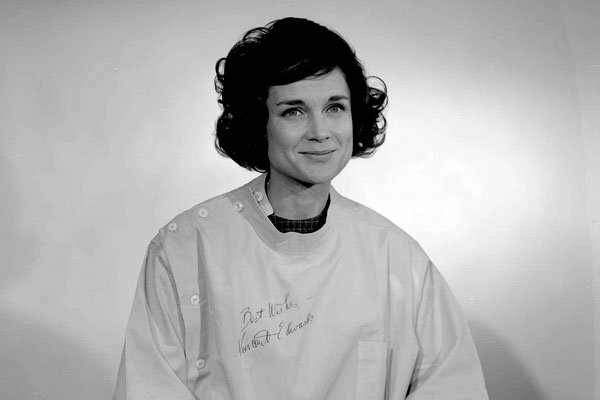 A gross profit of approximately $22,000 was realized from the 1966 auction. 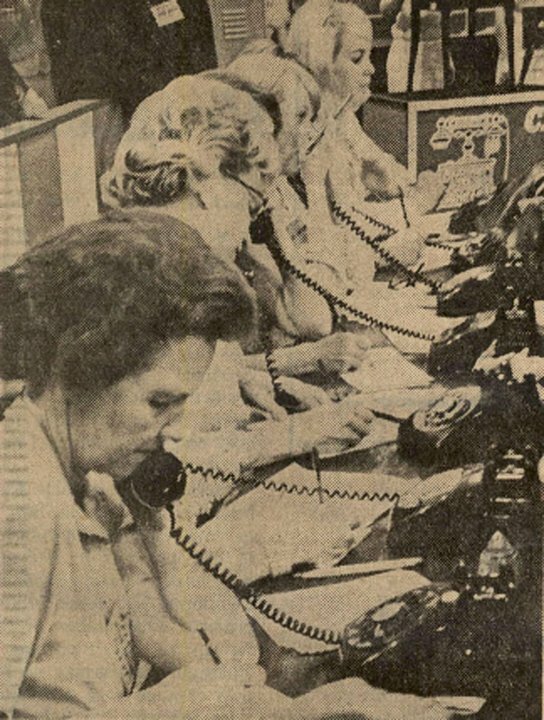 Over 1,000 volunteers participated in the first auction. 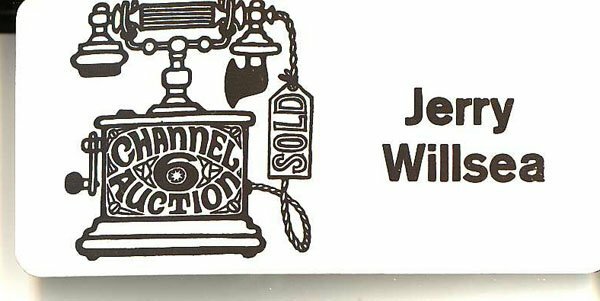 There were no pre-written scripts for the items sold. 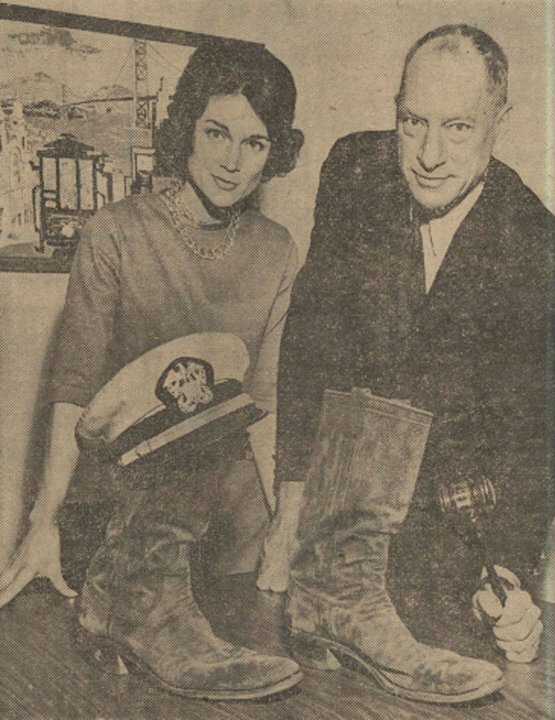 Chuck Connors’ cowboy boots were a size 14. 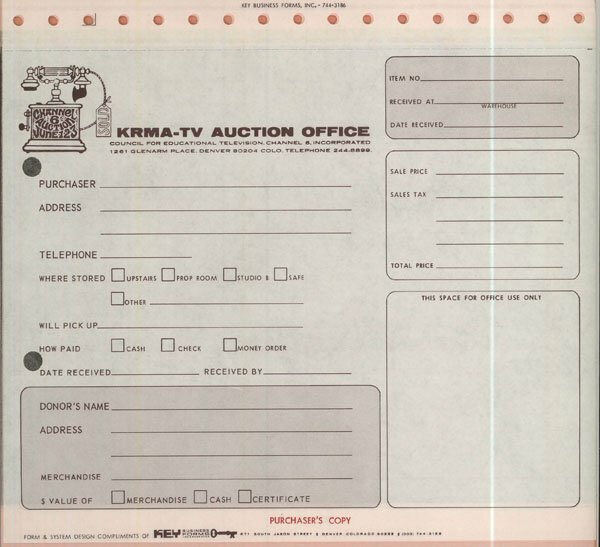 1,100 items were auctioned off in KRMA's first auction. 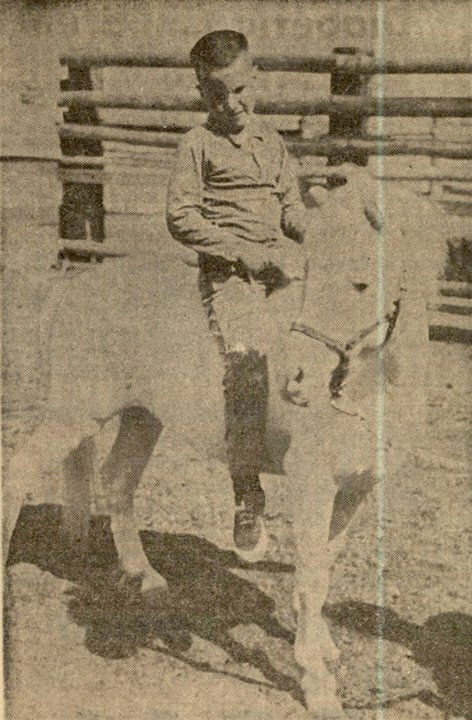 The Shetland pony up for bid was named Kibosh.